I have to admit, this is not my favorite time of year. I'm not talking about the holidays, (though the commercial hype does get tiring) no, I'm talking about winter. So, what does a landscape painter do that doesn't like winter, hibernate in the studio? I confess that's largely been my strategy in the past but what does that say about a landscape painter that does his best to ignore a whole season? I decided I need to work on my attitude and get outside more during the winter months. I choose today to get started, a day where the high temperature stayed below freezing. At least it was somewhat sunny and only a little breezy. 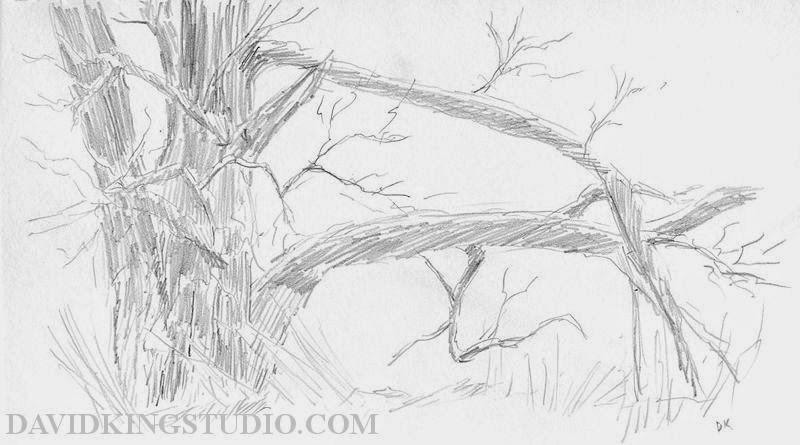 It was too cold to take out the acrylics so I just went for a walk with a pencil and a sketchbook in Murray Park. The forecast shows nothing but freezing weather for the next week so maybe I'll take out the pastels one of those days. Today was more about going for a walk to acclimate myself to the weather but I did manage to get a couple quick sketches in. Some of you who follow this blog may recognize this tree. 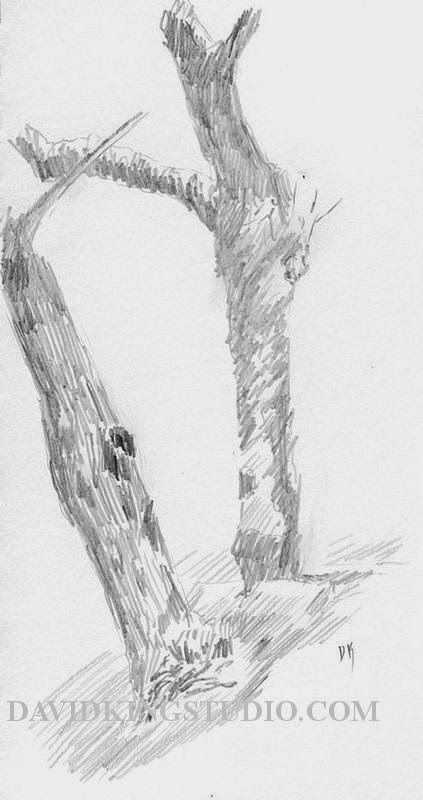 I've done both a field pastel sketch and an oil painting of this tree neither of which really satisfied me, I think maybe this quick little pencil sketch captures it's character a little better. Visiting this tree was a bit like visiting an old friend. I took my camera as well of course, here is one of the photos I snapped. Maybe I'll eventually develop a Murray Park series of paintings. I'm just getting around to posting about my last plein air outing which was the Saturday after Thanksgiving. I wasn't sure I wanted to go out, it was a gloomy, windy day. After running a couple errands I decided I might as well go out, at least it wasn't real cold and if painting proved to be too problematic I could at least get some reference photos. My initial plan was to go up in the canyon, I figured I might get some fresh snow photos and maybe a painting, however as I headed towards the freeway I noticed there was plenty of blue sky northwest of the valley so I turned right instead of left. 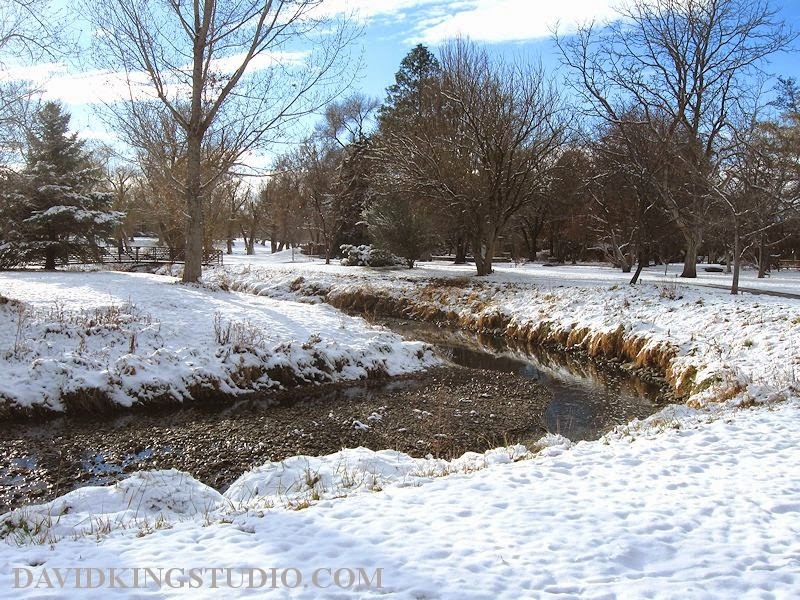 After spending some time exploring near the Great Salt Lake Marina and the East end of the Tooele Valley, the next valley over from the Salt Lake Valley I headed west over to the town of Grantsville. 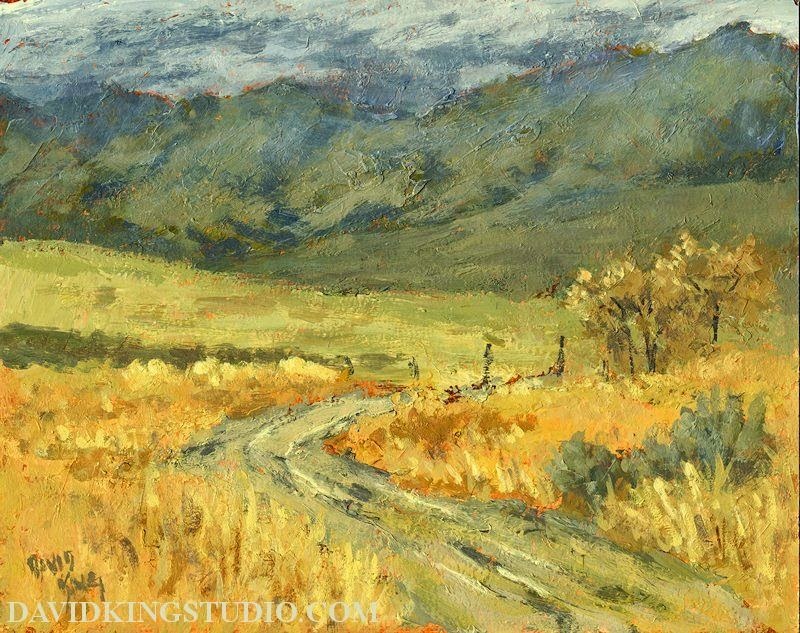 I took a road going North off Main street and ended up at this field that appeared to be public land of some sort, I drove down a short road, turned round and saw the view I decided to paint. I had quite a battle with the wind but it was worth it.